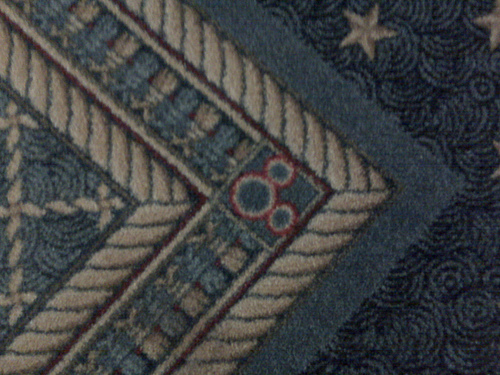 Hidden Mickeys in the carpet, originally uploaded by Erin *~*~*. This is REALLY a long trek from the elevators! But you get to look at some nice hidden Mickeys on the way. Oops, I did it again, originally uploaded by Erin *~*~*. Ears!, originally uploaded by Erin *~*~*. Restitution to my readers: it’s a do-over! Through the raindrops – see ya real soon! Through the raindrops – see ya real soon!, originally uploaded by Erin *~*~*. 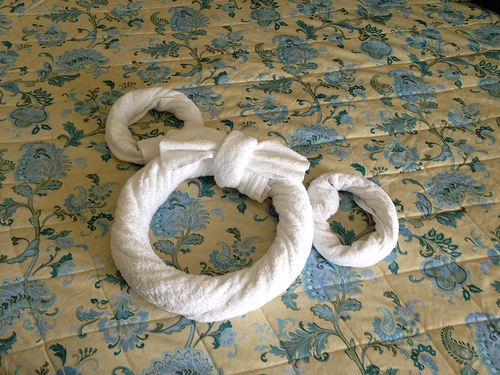 Hidden Mickey in my hotel room! Hidden Mickey in my hotel room!, originally uploaded by Erin *~*~*. 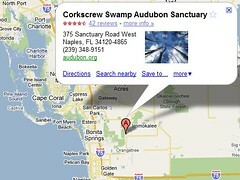 I got here really early after an uneventful drive. I’d originally thought to spend some time in Universal today, but I am hungry and the Food and Wine Festival at EPCOT is calling my name. I believe there’s a mai tai in my near future! 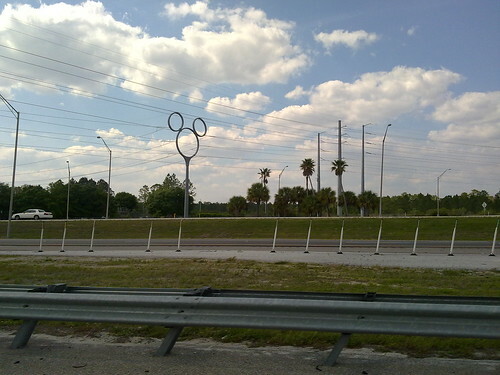 Hidden Mickeey on the Long Island Expressway, originally uploaded by Erin *~*~*. Hey there, hi there, ho there!, originally uploaded by Erin aka Tink*~*~*. Pretty good for a "point and pray" shot, huh? 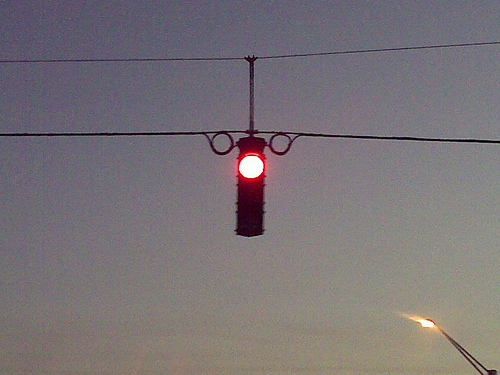 I’m at a traffic light waiting to pull into my hotel’s parking lot. See ya real, REAL soon! See ya real, REAL soon!, originally uploaded by Erin aka Tink*~*~*. 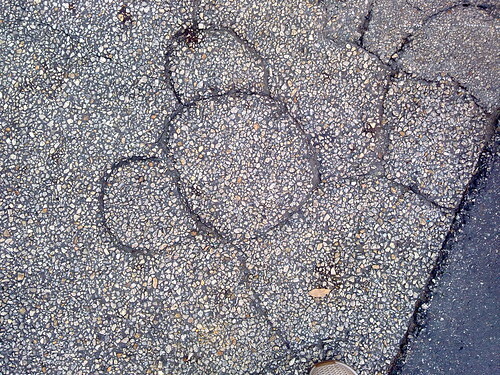 Hidden Mickey in Dinoland, originally uploaded by Erin aka Tink*~*~*. Bye-bye… SEE YA REAL SOON! Bye-bye… SEE YA REAL SOON!, originally uploaded by Erin aka Tink*~*~*. 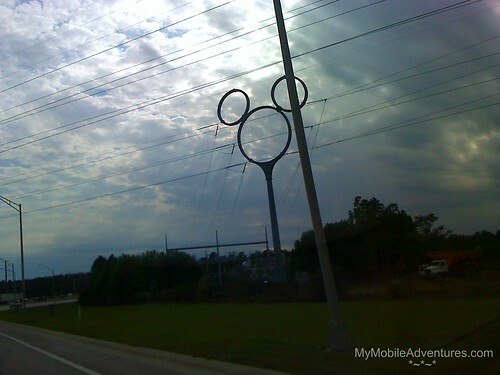 Hidden MickeyMickey MouseOn The RoadSee Ya Real Soon! But then, you get a smile, originally uploaded by Erin aka Tink*~*~*. 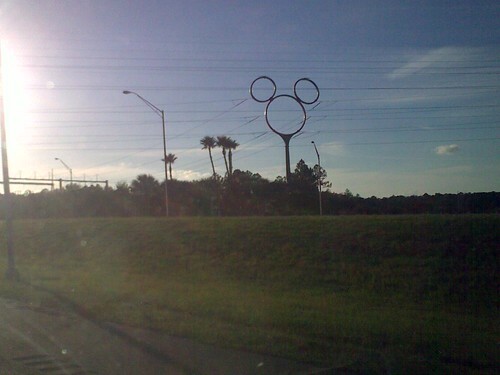 It’s like Disney knows you’re sad and wants you to come back. So they give you something to smile about. 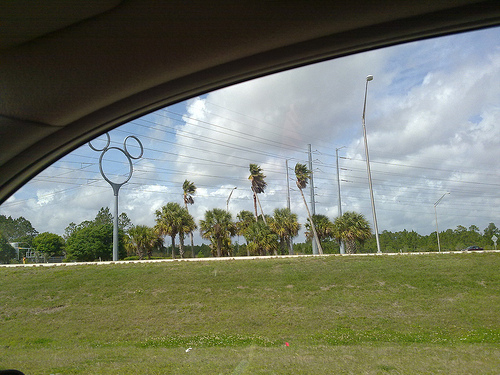 Hidden Mickey Hunt at Disney’s Polynesian, originally uploaded by Erin aka Tink*~*~*. 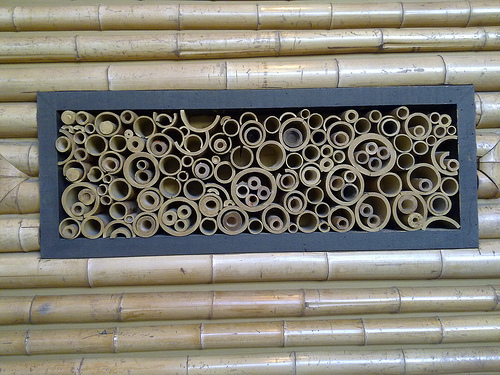 These are hollowed out bamboo pieces set into a recess in the wall on the staircase. 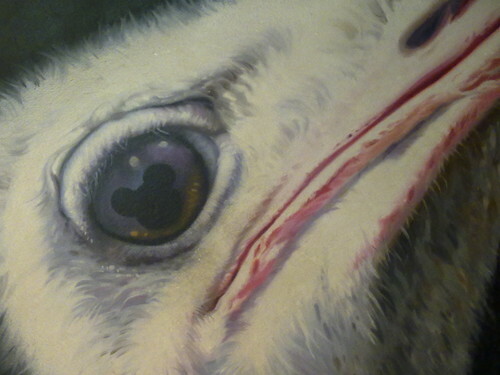 The eyes have it #dak #wdw, originally uploaded by Erin aka Tink*~*~*. 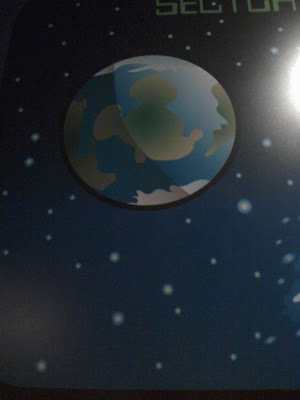 Every time I come to Rafiki’s Planet watch, I find a few Hidden Mickeys that I haven’t seen before. 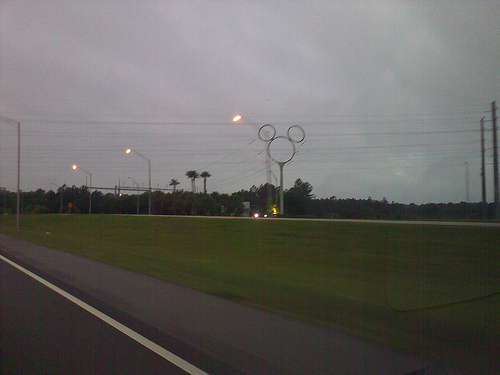 MickeyMicroCell, originally uploaded by Erin aka Tink*~*~*. A roving reporter uses a device that looks like a cell phone, behaves like a microphone – and has Mickey Mouse “antenna ball” ears! 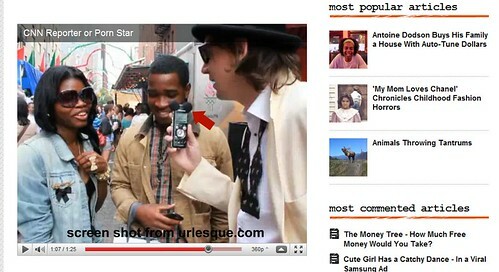 Screen shot from a video found on Urlesque.com website. 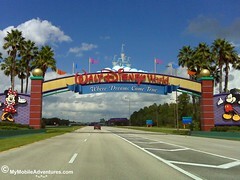 🙂 I love this sign because it is so colorful and because it has a “hidden” Mickey. 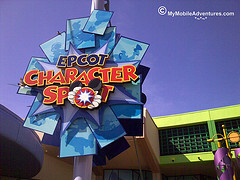 The EPCOT Character spot is located just across the breezeway from Innoventions West in Walt Disney World’s EPCOT theme park. You’ll be able to find all the most beloved classic Disney characters there – Mickey and Minnie, Pluto, Goofy and Chip ‘n’ Dale are all waiting to meet you! So, when you get to EPCOT, hang a right when you get to the fountain that dances to fabulous music and you’re there. Everybody neat and pretty? 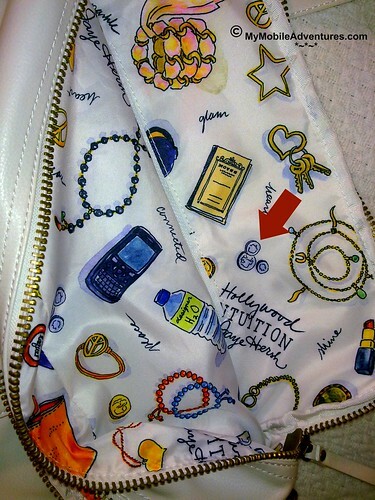 Don’t forget your autograph book! 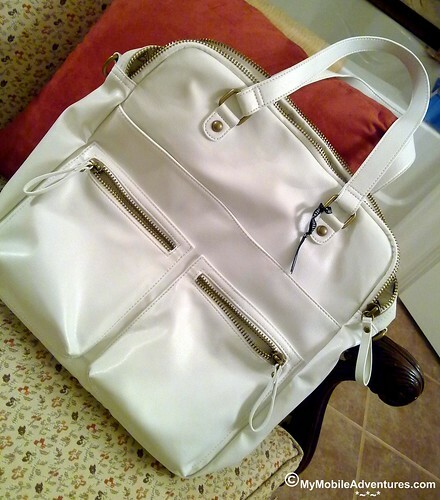 What’s hiding in my new carry-on bag? I will let you know how functional I found it. 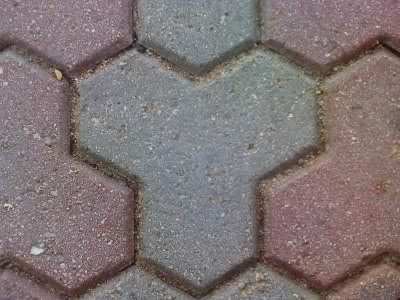 Hidden Mickey in the tile, originally uploaded by Tink*~*~*. 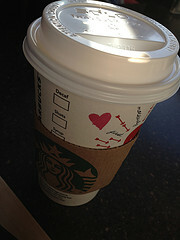 Late start – see ya real soon! Late start – see ya real soon!, originally uploaded by Tink*~*~*. QUESTION: Will Disney’s Guests be OK with the use of technology that enhances their experience, but also tracks their every move, all day long? Come and leave a comment, let me know what you think. 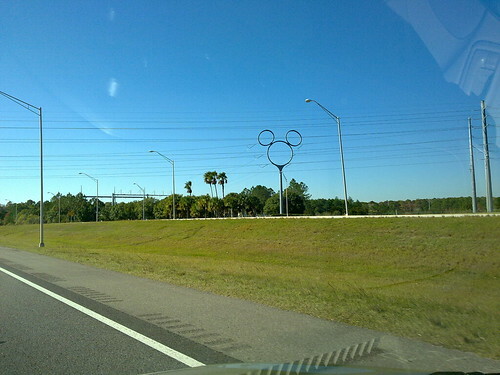 Yes, you are correct – those are the “pearly gates” and I’m going to Disney World! Last month we were there at just the beginning of the Flower and Garden Festival; not everything was assembled yet, and more importantly, the magnolias were not yet in bloom! So I need to get my fix. But the most important thing is that a small (hence “petite”) herd of “mooses” will be converging upon Walt Disney World that weekend. The “mooses” are a clan of Disney-lovin’ folk who met on the internet initially but now all that internet stuff is just filler between play dates at The World. Look for people like @DisneyMoose and @badelves and her family to be tweeting and blogging along with me. I think we’re going to have a blast! I love visitors – drop by and say hi anytime! 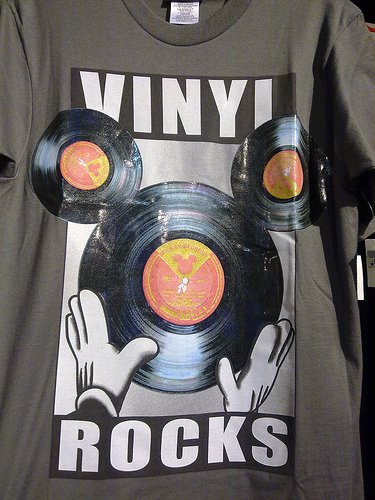 Here’s an interesting piece of “Walt Trivia” that I found this week, again in the Daily Disney. Apparently, the Big Thunder Mountain Railroad attraction reflects more than just one of Walt’s personal fascinations. We all know about his love of trains – how he worked one summer selling newspapers on a railroad, and how he grew up to build the Carolwood Pacific Railroad in his back yard when he lived in California. Well, not only are trains incorporated into the Big Thunder attraction, but the attraction itself was allegedly inspired by the time when Walt Disney had owned a home in the vicinity of Sedona’s red rocks. In fact, there’s a rock whose official name is Capitol Butte, but people now call it Thunder Mountain in honor of the Disney attraction. See ya real soon :o), originally uploaded by Tink*~*~*. 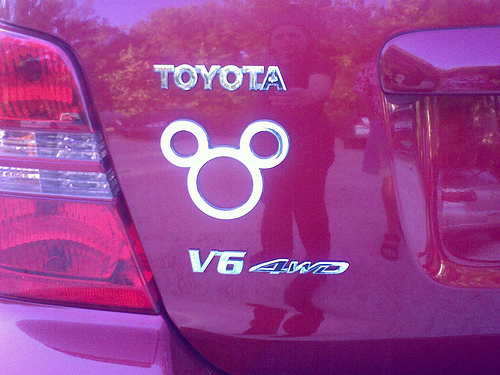 Hidden MickeyMobile BloggingOn The RoadSee Ya Real Soon! 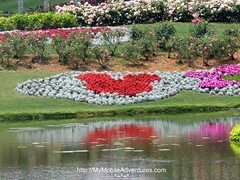 Hidden Mickey in the Flora! 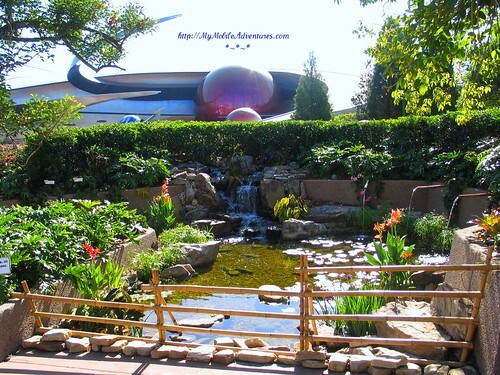 Hidden Mickey in the Flora!, originally uploaded by Tink*~*~*. Waiter art, and a Darcie Digit, originally uploaded by Tink*~*~*. swank place when, instead of having bus boys, the waiters have "assistants""
Ok, so it’s sorta abstract, but there it is! For the Monday Meme Trifecta this week, we start with the word “pop” as a prompt, and add a little yellow and a little blue. That’s how we play all three memes at the same time! 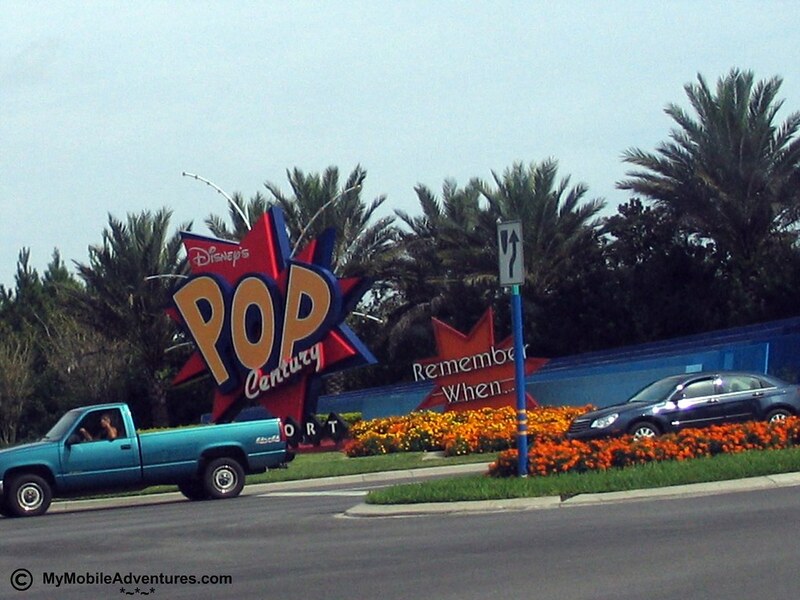 Here’s the entrance to Disney’s POP Century resort in Orlando, Florida. 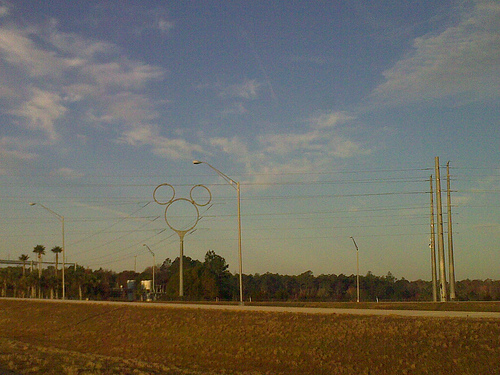 This is one of Walt Disney World’s “value” resorts – the least expensive of the Disney resorts. 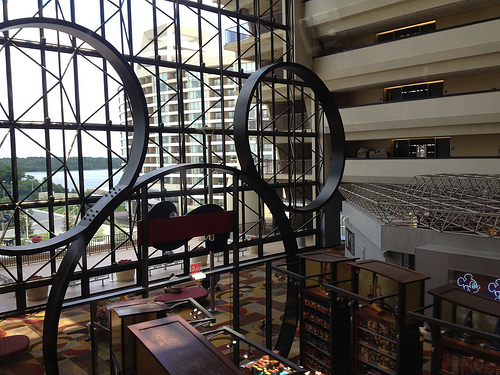 The Pop Century resort is themed in sections that represent the decades of the 20th century. The entire resort is decorated in colorful representations of the popular culture of the times, represented in music, art, film and even the dominant news items of the times. 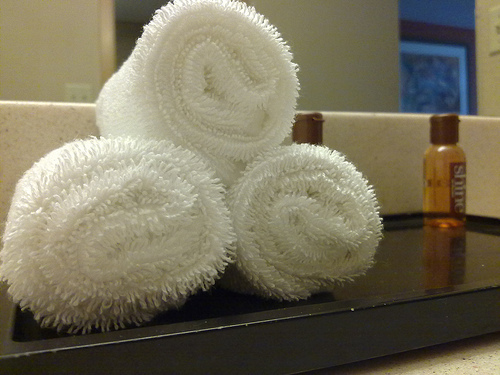 I’ve stayed there twice – once in the 1950s section, and once in the 1970s section. These photos are from the 1970s visit. 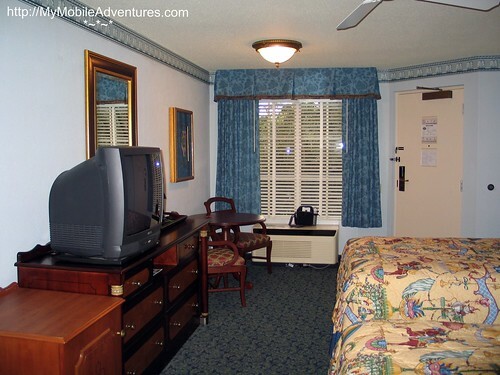 Here’s a shot of one of the standard rooms at the Pop Century resort. As you can see, the decor is dominated by color, with blue and yellow both well represented in both the quilts on the beds as well as in the border up near the ceiling. 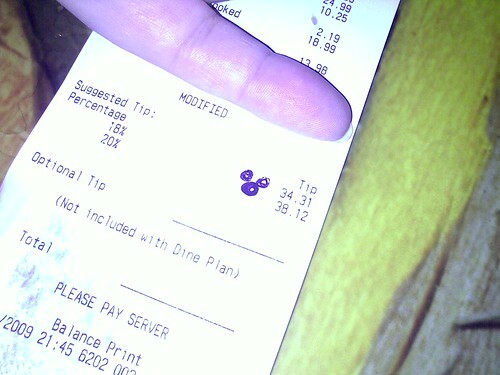 A hidden Mickey in my plate! 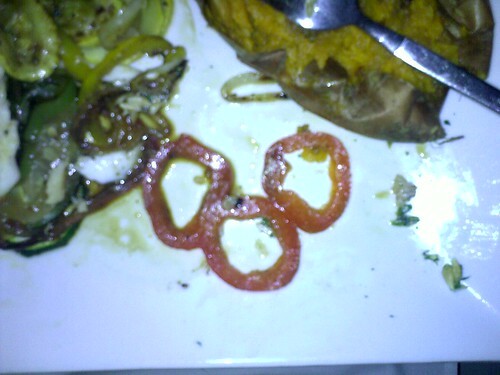 It’s a red pepper slice in the shape of a Mickey head! makes me sad to leave. 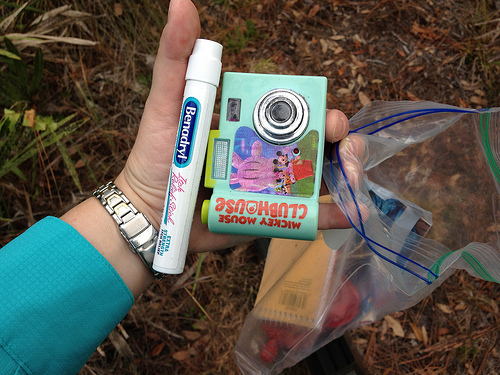 Subscriptions to My Mobile Adventures are fun and absolutely FREE! What’s in the bottom of this here pond? SURPRISE – It’s a Hidden Mickey! 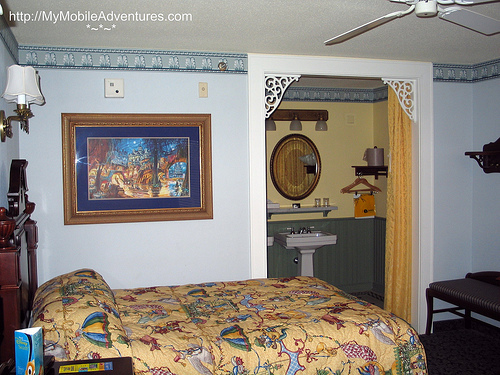 Yesterday we took a look at one of the standard rooms at Disney’s Port Orleans French Quarter resort, and I showed you a “Hidden Mickey” in the bedspread. 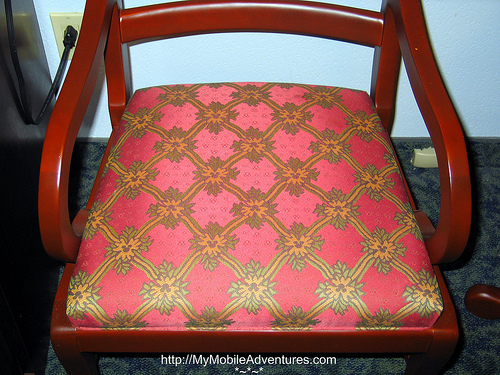 Today, in honor of Ruby Tuesday, we’ll take a look at the red upholstered chair. 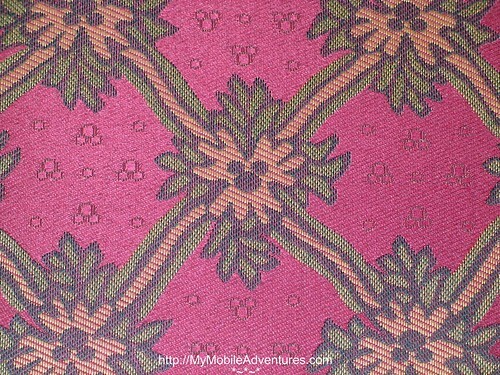 I bet you think that you can see the “Hidden Mickey’s on this chair, huh? Surprise, surprise, surprise – there are even more than you thought there were! 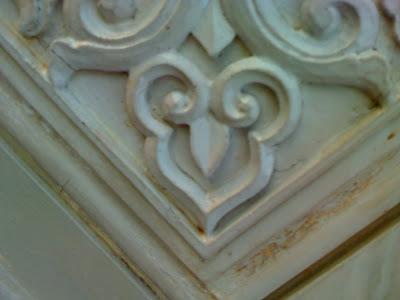 I vaguely remember a Cast Member telling me that there are hundreds of “Hidden Mickeys” in each room at Port Orleans French Quarter. I think it was the captain of one of the boats that takes people between the Port Orleans resorts and Downtown Disney. I’m trying to verify this by asking around at some of the Disney forums out there on the interwebz – I’m sure someone else must have heard the same story that I have. 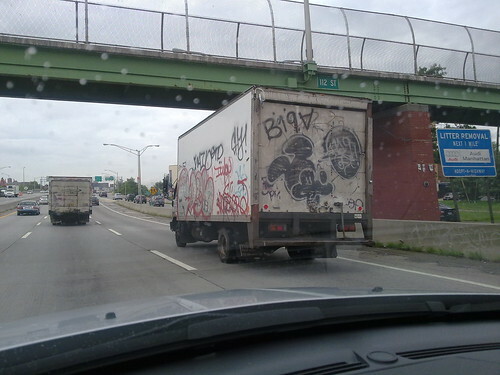 Or… maybe YOU know! 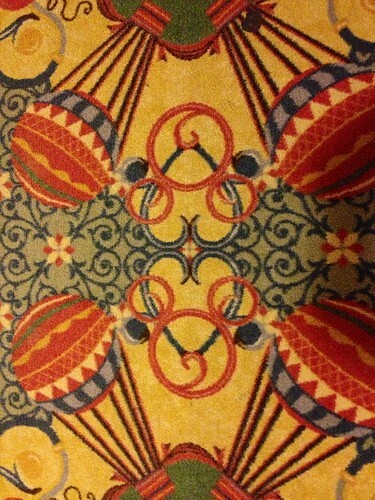 Did you hear that story too – that there are hundreds of Hidden Mickeys in each room at Port Orleans French Quarter? Who told you? Leave me a comment and let me know! That’s right folks – I’m going for it again! 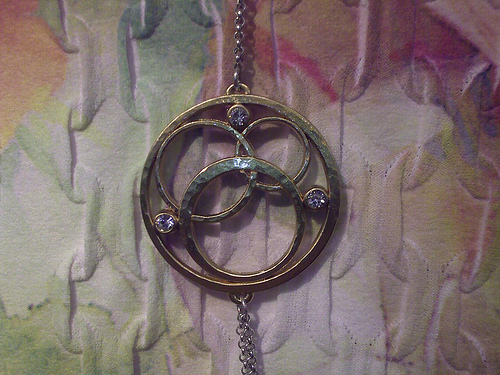 It’s the “Monday Meme Trifecta” – Manic Monday, Mellow Yellow Monday and Blue Monday. Isn’t this a nice room? 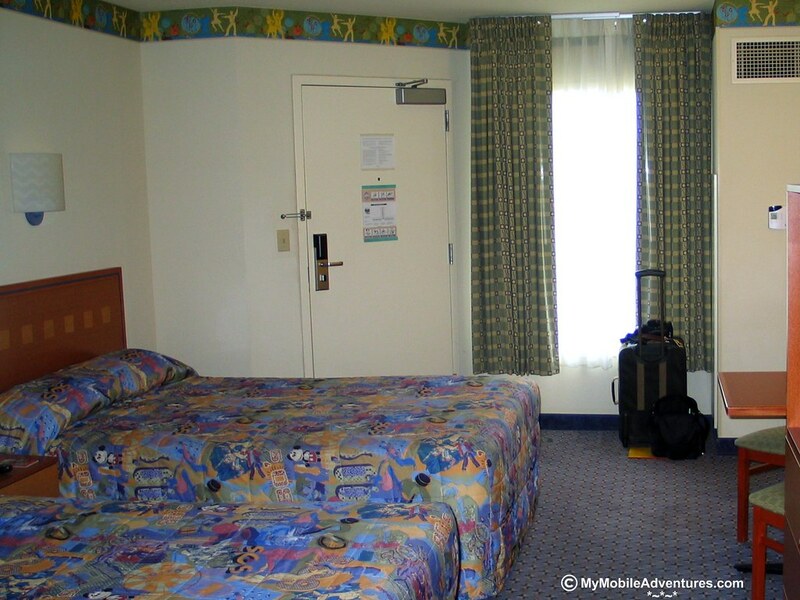 This is a typical room at Disney’s Port Orleans French Quarter resort in Orlando, Florida, and there’s an awful lot of blue and yellow going on. The walls of the main room are a pale blue with a blue border around the top, while the walls of the dressing area are pale yellow. 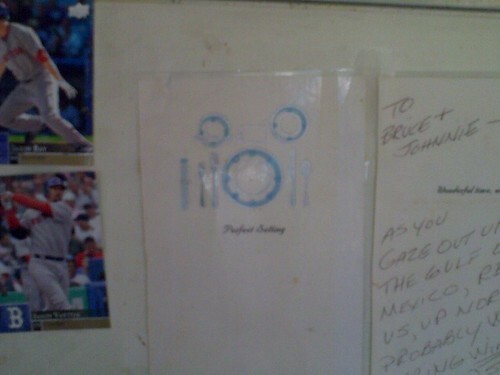 The artwork on the wall has shades of blue and yellow, too. In the previous photo, you’ll notice that the curtain for the dressing area is a golden yellow. In this photo, we can see that the drapes at the front window of the room are a brilliant blue. There are two queen-sized beds in the room (you Manic people thought I was going to say FULL-sized, didn’t you? 😉 Fooled ya!). They are covered with quilts that have scenes from Mardi Gras on them. Each quilt has a pale yellow field upon which the scenes are set, and there’s a lot of blue going on as well. But wait, what’s this I see? 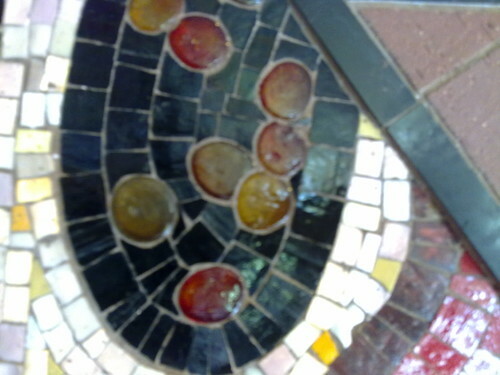 The quilts are actually FULL of Hidden Mickeys! 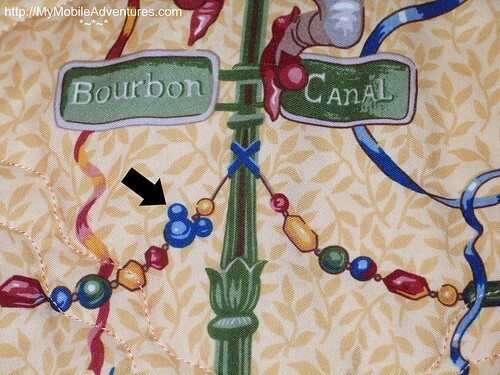 This is just one instance, where you can see that one of the Mardi Gras beads is shaped like a Mickey head (in case you could not find it for yourself, I’ve inserted a handy arrow pointing to it). 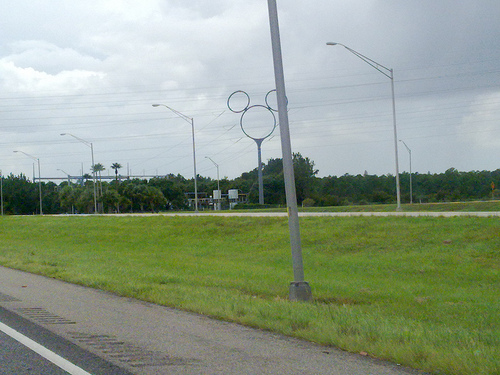 As I recall, there were depictions of balloons and I think even lamp posts in the shape of Mickey heads, too. My previous victories in the Monday Meme Trifecta! 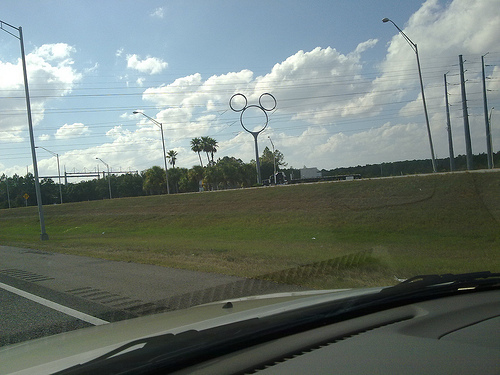 The color RED makes a strong showing in the Disney theme parks in Orlando, Florida. 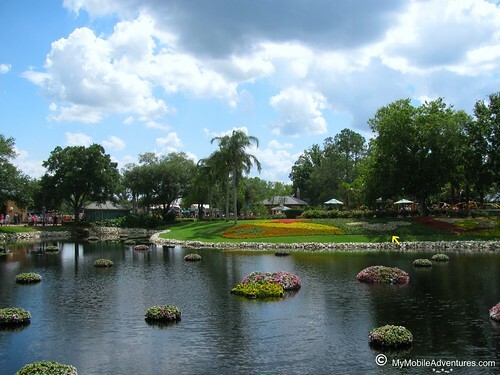 Perhaps that’s the reason that so many of my Ruby Tuesday posts are laden with photos taken at Walt Disney World. 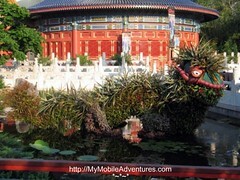 This dragon topiary was photographed at the Flower and Garden Festival, which takes place in EPCOT each spring. Red is the predominant color at the China pavilion, which is no surprise because red is the most significant color in Chinese culture. From the Chinese flag to the emblem of the 2008 Olympics in Beijing, red represents China like no other color. 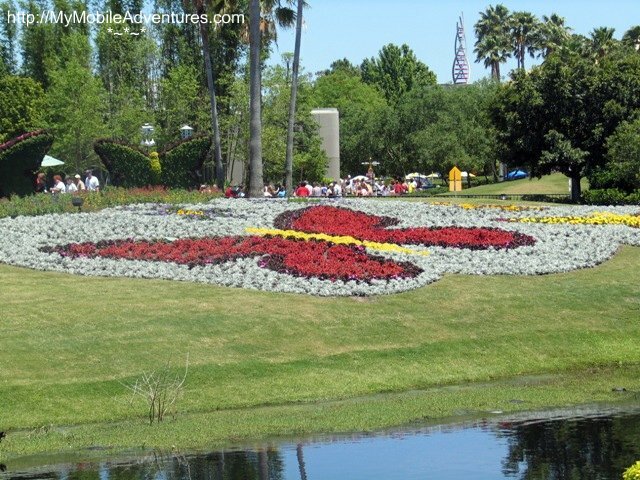 In 2005, the theme of the Flower and Garden Festival revolved around “hidden” Mickeys. There were 50 of them hidden in the park in connection with the festival. Some were more obvious than others. 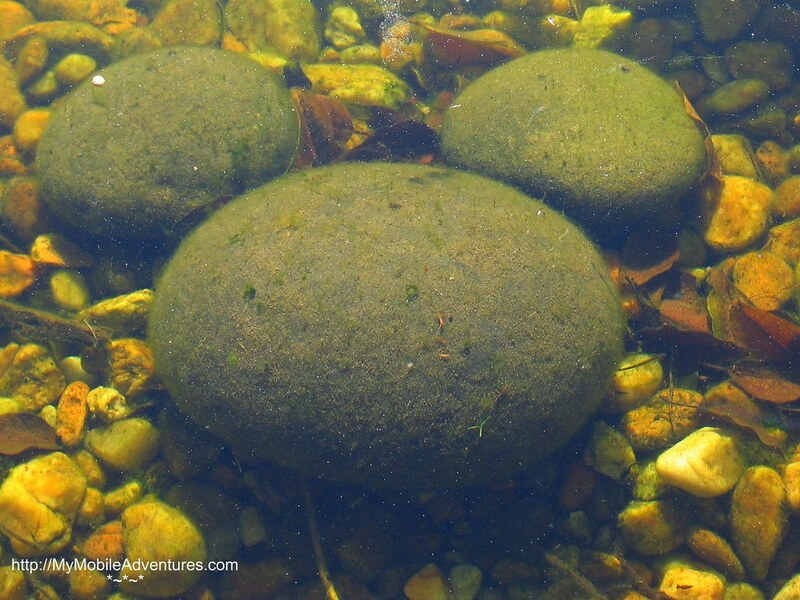 They could be anything from an arrangement of stones on the bottom of a pool to this giant, red, not-so-hidden Mickey on the banks of one of the lagoons. 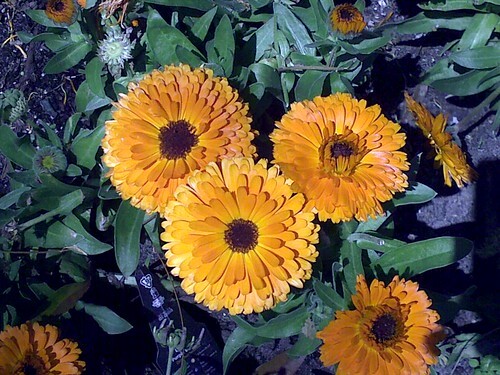 It’s made up of hundreds of flowering plants in bloom. You might think that this one was sort of a “gimmee” because it is so big, but I think that sometimes, the best “hiding” place is right out in the open. butterfly. If you click through to the larger version of the photo, you will see that there are butterfly topiaries behind it. 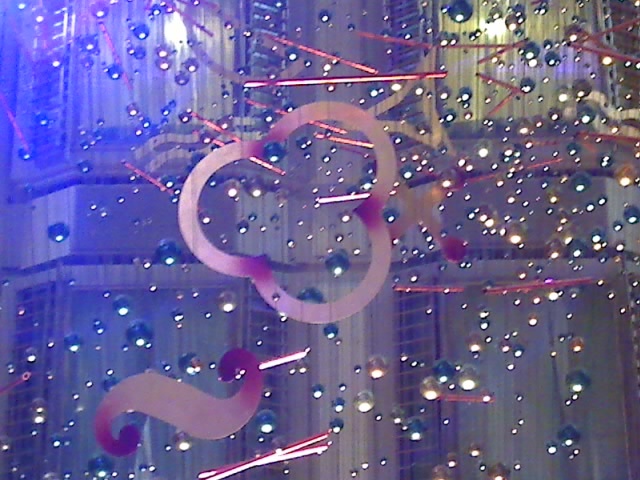 This display was near the butterfly house, a mesh tent that contains a butterfly garden and LOTS of butterflies. There are cocoons in there too, but I’ve never been lucky enough to be present while one was hatching. 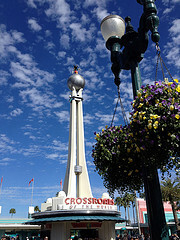 In the background on the right, you can see the tall spire from a defunct attraction called The Wonders of Life. Sometimes the Wonders of Life pavilion is used as a Festival Center. Last year when I was there in October, this pavilion was filled with food-related merchandise and racks and racks of bottles of wine during the Food and Wine Festival. And speaking of Food and Wine, it’s time to switch festivals. 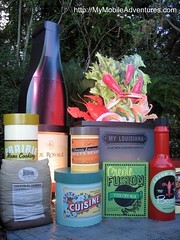 Here’s a display that I found in the temporary “Louisiana” section of the 2008 Food and Wine Festival at EPCOT. This display represents the classic ingredients in Louisiana cooking. I didn’t recognize even half of these brand names, so I guess they are either local to Louisiana, or maybe they are memorabilia-type representations of classic ingredients from the past. Anyone out there from Louisiana that could enlighten us? To give you an idea of scale, people were hoisting their little kids on top of the can that says “Delta….” to take a picture of them – until a Cast Member came over and asked them to stop. Spoil sport! 😀 Included in the display are a giant bottle of red wine, and a smaller red bottle that looks like it might be the equivalent of Tabasco. 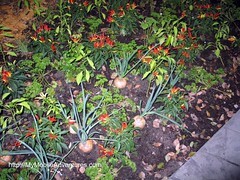 This little vegetable garden was just across the path from the ingredients display. A little sign in the garden stated that these are the typical vegetables that go into Louisiana cooking. I see onions, parsley, several varieties of peppers that include some red ones and … not sure what all else was growing in there. It kind of made me all misty-eyed for the days when I had my own little organic potager growing in the yard… and then I remembered all the back-breaking work it is to grow vegetables, and I got over it! Hope you enjoyed our little stroll through the RED stuff at EPCOT! Mickey heads on the carpet, originally uploaded by Tink*~*~*. Look, I gots a Mickey head soap! 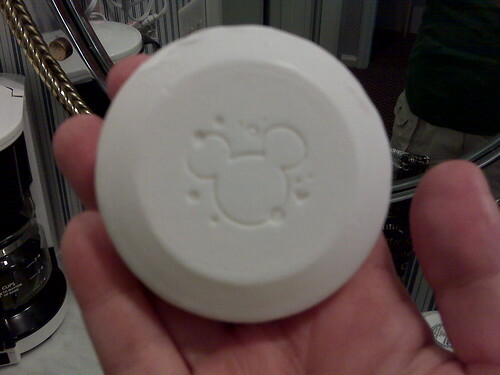 Look, I gots a Mickey head soap!, originally uploaded by Tink*~*~*. I forget where this was – possibly China again, since we went back to see the film. 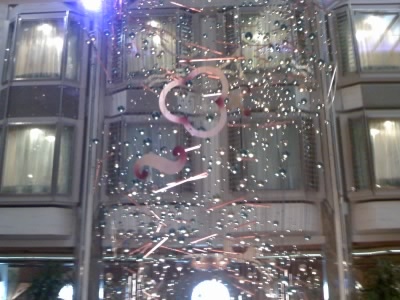 A familiar shape on the ship!